Hopewell Township area summer soccer camps & spring, fall soccer clinics in Hopewell Township, NJ are provided by USA. Hopewell Township area summer soccer camps and spring, fall & winter soccer classes are designed for all ability levels and players aged 3-18. 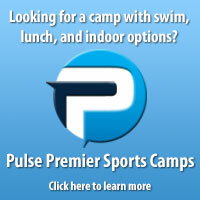 USA's wide range of soccer camps and soccer class options combined with our dynamic professional staff ensures that you'll never need to look elsewhere for a soccer program again; with 14 different soccer camp types to choose from, we always have the perfect soccer camp to meet your child's soccer needs. For more information, or to register for soccer camps & classes in the Hopewell Township area please click on any of the summer camps or soccer classes below which represent our current Hopewell Township, NJ soccer summer camp & spring / fall soccer class offerings.